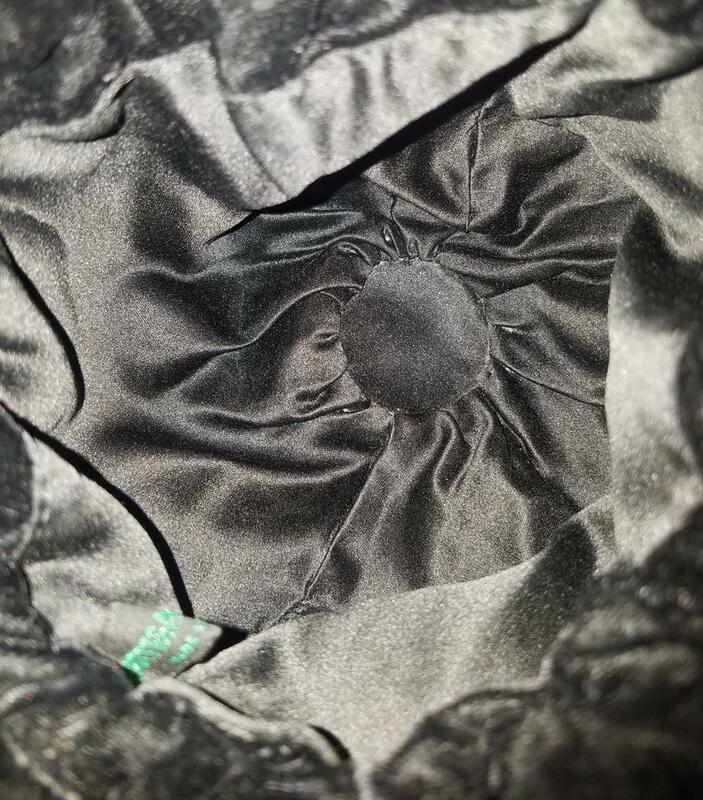 This bag is in AMAZING condition. I'm not sure it was even used! It only shows the slightest signs of wear, nothing worth mentioning. TASSELS ARE IN! This Bottega Veneta evening bag is absolutely stunning & RARE! 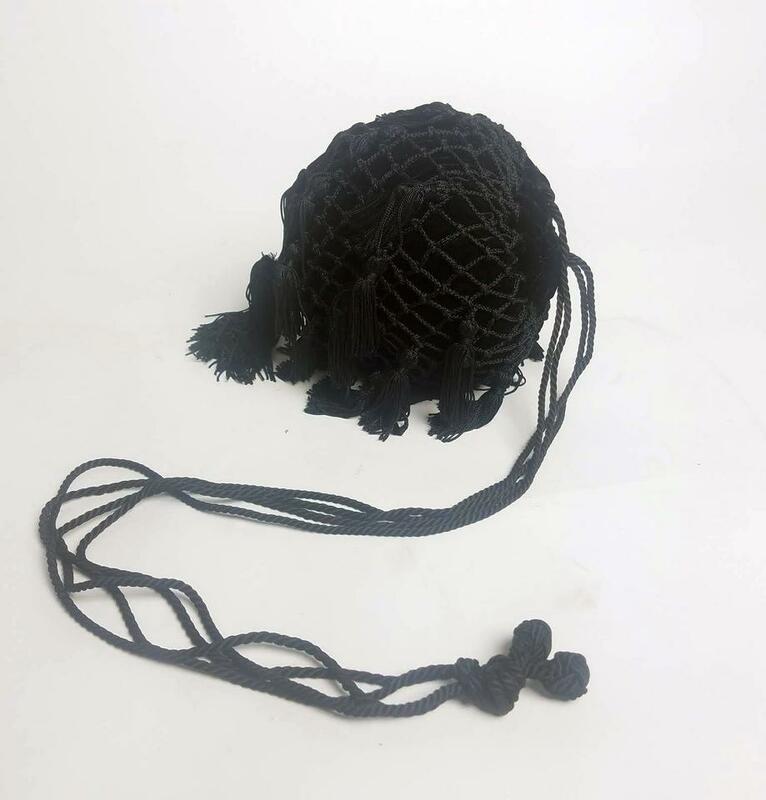 It is made of black velvet encased in a twisted rope net. 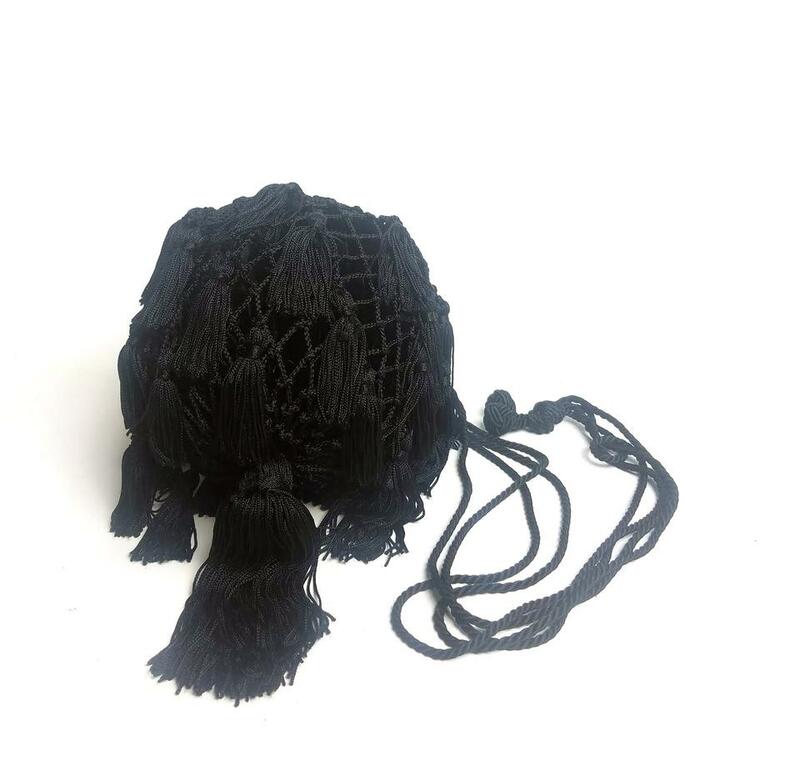 There are THIRTY-TWO tassels which dangle from the bag and an additional larger tassel which hangs from the center of the bottom. It has AMAZING movement when worn. So flirty! It has drawstring closure which tightens as you pull on the long twisted rope style straps. 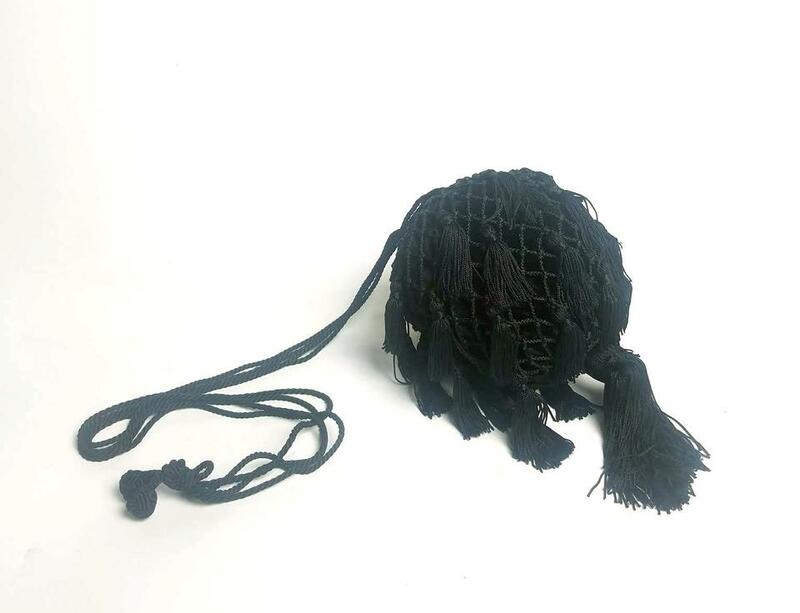 Tassels are so in style right now so you don't want to miss this gorgeous vintage find! The strap is quite long so you can wear it as a crossbody, or shorten it to any length by tying a knot.